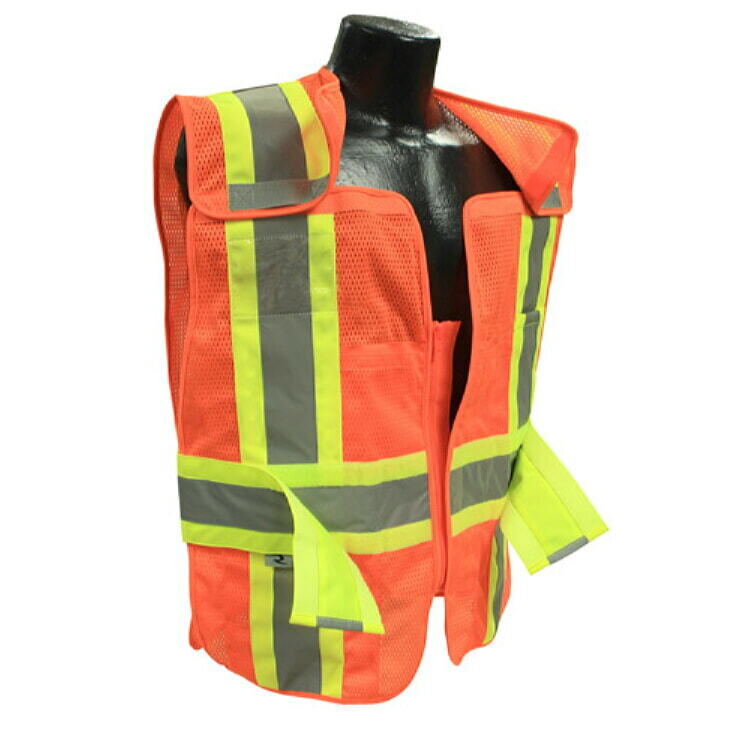 The ANSAI class 2 SV24 is a two-tone expandable breakaway vest for use in tough work environments around moving machinery and equipment. 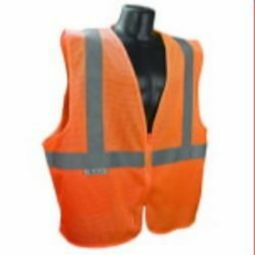 This vest includes a 5 Point drop shoulder Breakaway feature. 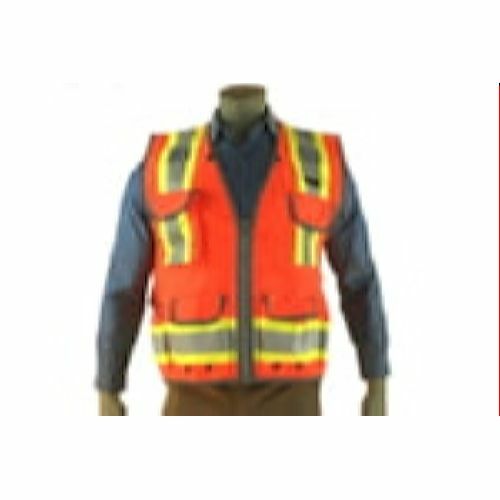 The hook and loop closures on both shoulders and sides will completely break free from workers preventing them from being pulled into dangerous hazards. 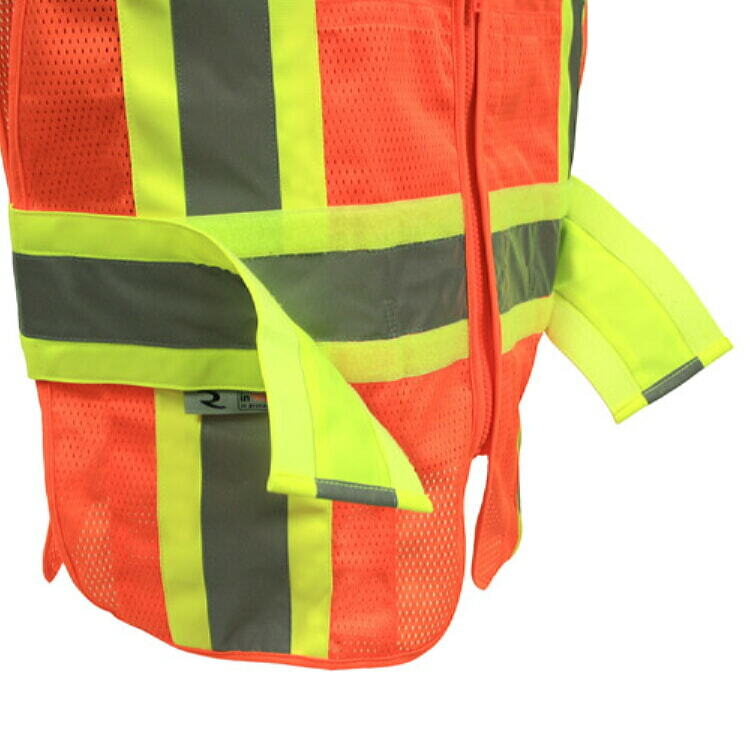 The patented Zip-N-Rip™ breakaway zipper allows you to have the convenience of a zipper but the safety of a hook and loop closure. 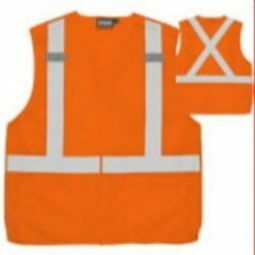 This vest also includes an expandable waist that allows you to adjust the size for an extremely comfortable fit. 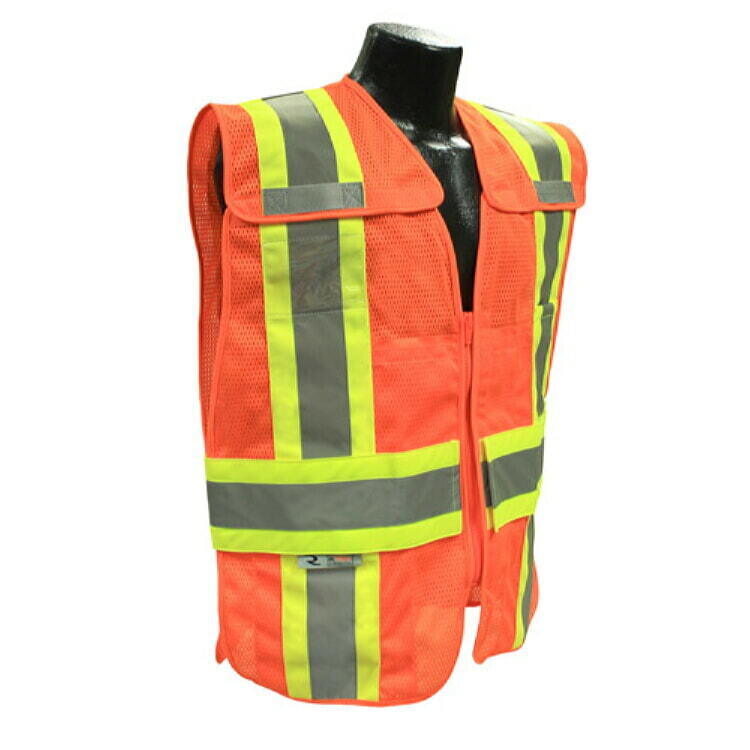 To keep you protected in low-light conditions, the SV24 features 2-inch silver reflective tape with one horizontal strip and two vertical stripes. 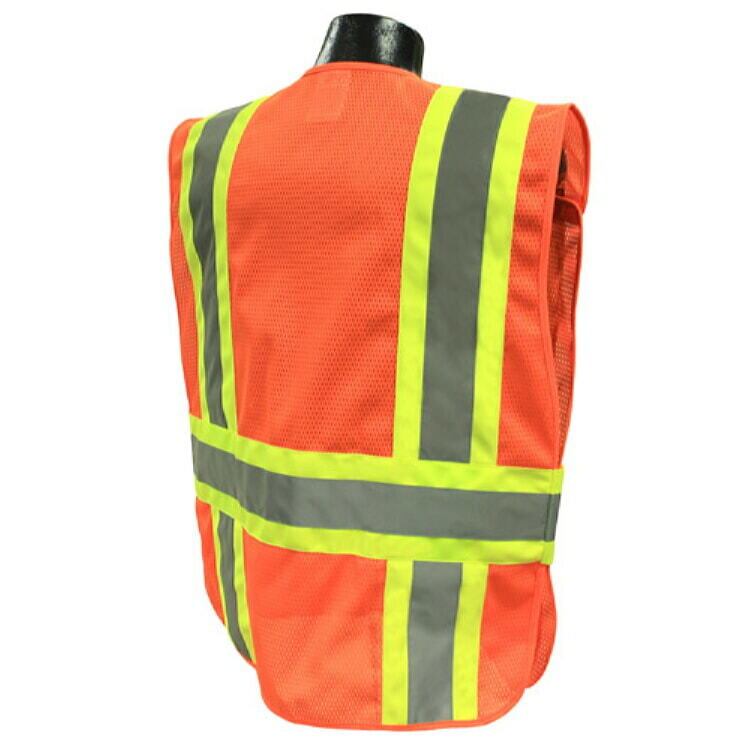 To improve visibility in daylight conditions, the SV24 also features contrasting trim on the reflective striping. 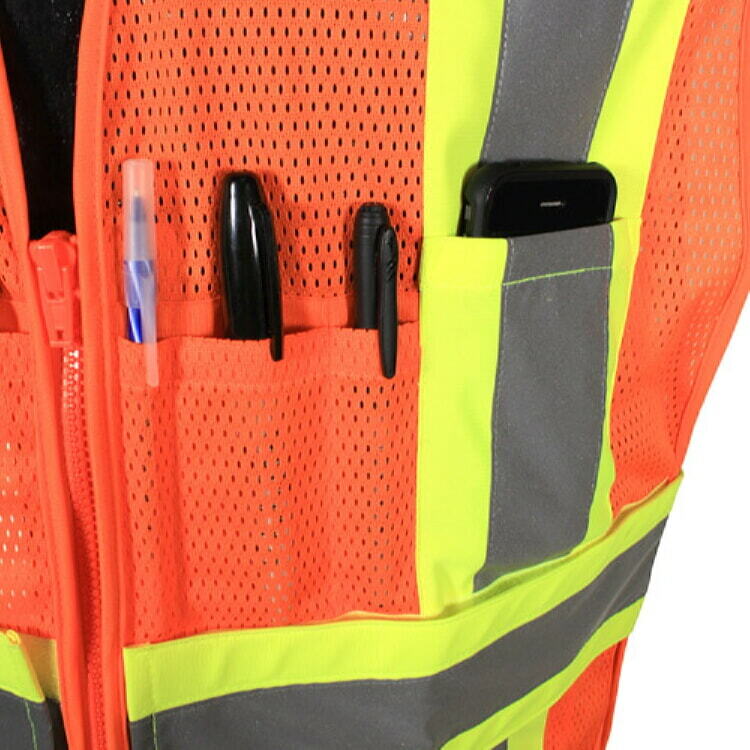 The SV24 has many functional pockets for easy access and storage of your essential tool. 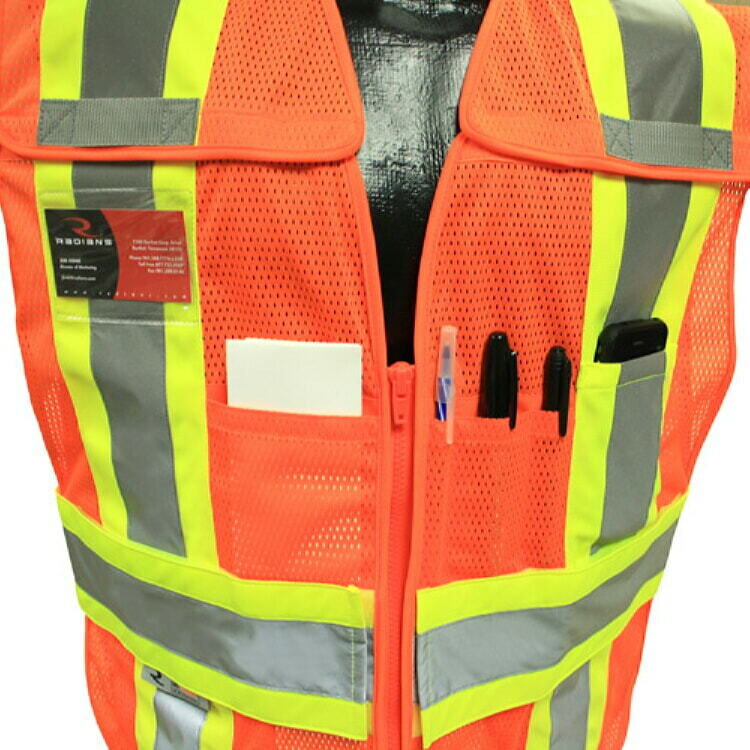 The clear badge holder on the chest with openings on the side to keep moisture out, multiple chest pockets including a split pencil pocket, two inside pockets and its also equipped with dual mic tabs. 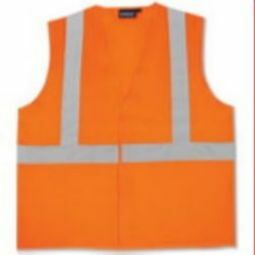 This 100% polyester mesh vest provides extra breathability . 2 Silver Tape Reflective Material. 1 Horizontal Stripe.